An overseas Filipino worker expressed his opinion on why the so-called "Ouster 3.0" will not succeed against President Rodrigo Duterte. Ronald Mallari, who works as a purchasing officer in a company in Doha, Qatar, said in a viral Facebook post that the chief executive's platform is "actually in a way tied" to the issue on the alleged extra-judicial killings (EJKs), which is not new to the public. In his speeches during the campaign period and even after he won the presidency, Duterte vowed to exterminate drug pushers and criminals. Mallari said the usual reason for the ouster of high government officials in the Philippines is corruption, which is very hard to use on Duterte. 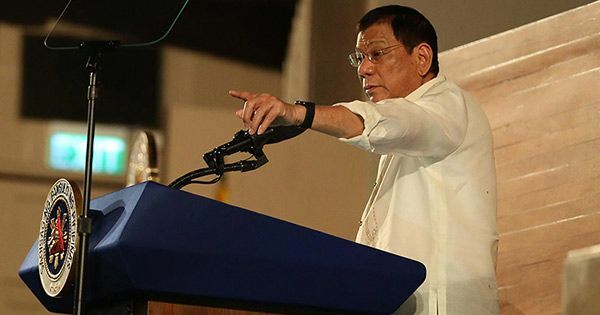 He pointed out that Filipinos are tired of orchestrated "People Power" saying three so-called people power didn't help the country because the politicians put into power were inutile and have no political will. Both the higher and lower chambers of Congress are under super majorities supporting the President. Add the fact that Senate President Koko Pimentel and House Speaker Pantaleon Alvarez are Mindanaoans and members of the ruling PDP-Laban, Duterte's political party. Mallari said the last but most important reason is that the Armed Forces of the Philippines (AFP) are loyal to the President who has been going around various camps to talk to the soldiers. The Philippine National Police, on the other hand, has a strong leadership under PNP chief Director General Ronald "Bato" dela Rosa, a trusted Duterte ally and close friend. The OFW's explanation is actually a simplified version of "Ouster 3.0," an article published by the Manila Times, in which columnist Ma. Lourdes Tiquia laid the facts about why any move to oust Duterte will not prosper. It is hard to overthrow the President "because both chambers are controlled by Mindanaons and they hold on to that coalition by trumping political moves early on. Problematic because the soldiers and the police are rallying his offensives against illegal drugs and terrorists (PRRD holds the record of visiting the most number of military camps and meeting the frontlines). Dangerous because the people are with him, what with improved frontline services and a caring quotient never before seen in a leader. These and the grassroots movement being set up in every province." Duterte enjoys a 91% trust rating based on the results of the nationwide survey among Filipinos conducted last July. According to Tiquia, "'Ouster 3.0' will have to wait until the 91 percent goes down to 30 percent. Until Matobato gets the brilliance he so promised his handlers. Until another robotic wonder can come up with a more credible denouement. Until a smoking gun links PRRD with corruption and gangland style killings." Edgard Matobato is the self-confessed hired killer who directly pointed a finger to the President as having a hand in summary executions in Davao City when he was still the mayor. The "incredible" witness was presented by Senator Leila De Lima, who was ousted as Senate justice committee chair for being biased, at the much-discussed third Senate hearing on the alleged EJKs.